All Grown Up! 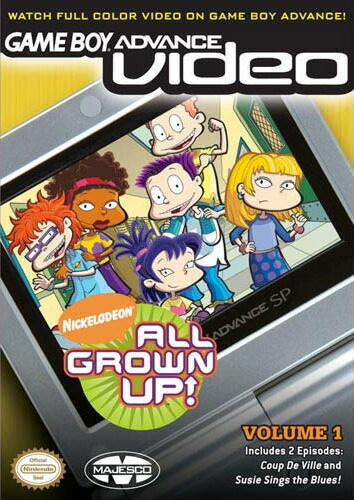 Volume 1 features two episodes from the Rugrats spinoff series that aired on Nickelodeon. 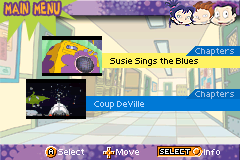 It includes "Susie Sings the Blues" and "Coup DeVille". 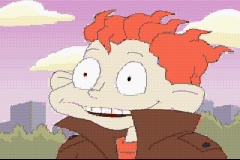 Although the quality is terrible, it looks good enough to watch! Now you can add videos, screenshots, or other images (cover scans, disc scans, etc.) for All Grown Up! Volume 1 - Gameboy Advance Video (U)(Rising Sun) to Emuparadise. Do it now! If you haven't noticed yet, we have a retro game of the day feature (top-right of the screen) wherein we feature a new retro title every single day! Now, you can vote for your favorite games and allow them to have their moment of glory. 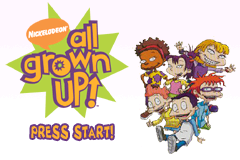 Click on the button below to nominate All Grown Up! Volume 1 - Gameboy Advance Video (U)(Rising Sun) for Retro Game of the Day. 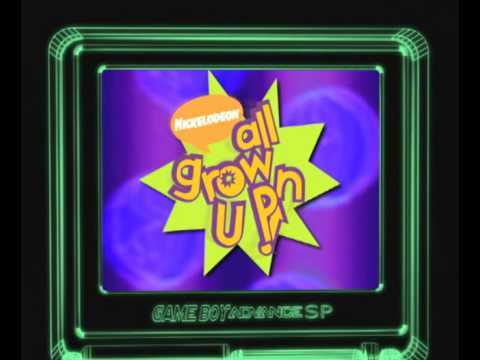 You have the option of playing All Grown Up! Volume 1 - Gameboy Advance Video (U)(Rising Sun) in your browser, right here at EmuParadise! No need for any software, no installations required, all you need is a fast enough PC and a browser with Flash support. This is great if you're on a PC with restrictions on software installations or want to secretly play at work.